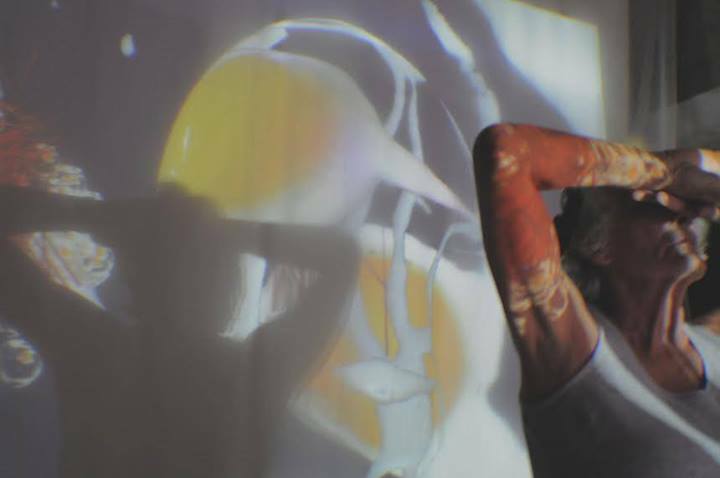 2014 – Maida Withers participated in a residency at the Institute of Mathematics and Art (Instituto de Matematica e Arte) in São Paulo, Brazil in February 2014. As a passionate advocate for the collaboration of art and technology, she and several artists and scholars explored experimental art with a brain controlled interface. She had the opportunity to perform with the Emotiv Neuro Headset (http://emotiv.com) at the Institute as research for MindFluctuations, seeking integration with the dancer wearing the Headset, the 3D animation impacted autonomously in the computer, and projection of the animation as an immersive performance environment. During her residency, Maida also toured with Ederson and Mirtes Dance Theatre Company in São Carlos, Brazil, a university city about 2 hours away from São Paulo where MWDCCO has previously shown Dance of the Auroras – Fire in the Sky Documentary and where the company has performed in a festival twice in the past. Maida also participated in an interview about her work with “Objeto-a,” a center devoted to art and technology in Buenos Aires, Argentina. The interview was videotaped and projected back into the the interview area with the video being manipulated with the Isadora video program See Archives).